This was Matt’s reaction after we checked into our beachfront lodging, walked out onto the white sand and gazed at the perfect turquoise water. After our unbelievable 3-day safari in the Serengeti and Ngorongoro Crater, our group was given a short reprieve from setting up and taking down tents to relax and enjoy some (much needed) beach time on Zanzibar. 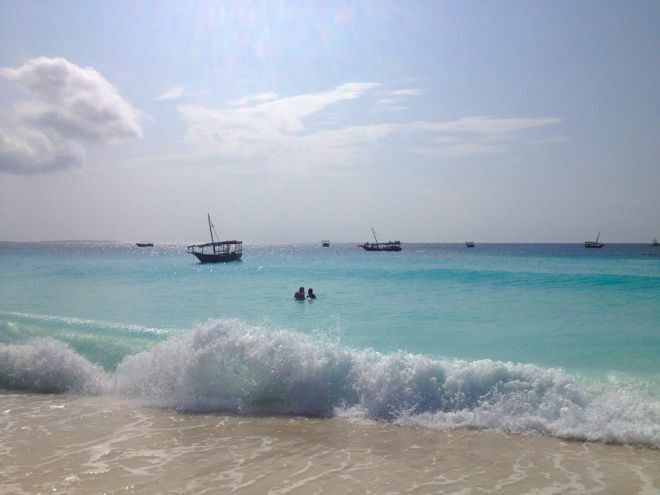 We stayed for three nights on Nungwi beach and the sand and water were absolutely perfect! 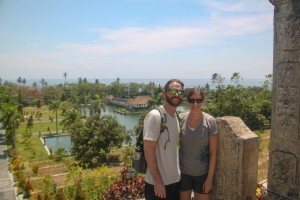 The area has a great mix of relaxation spots during the day and restaurants and bars to visit in the evening. 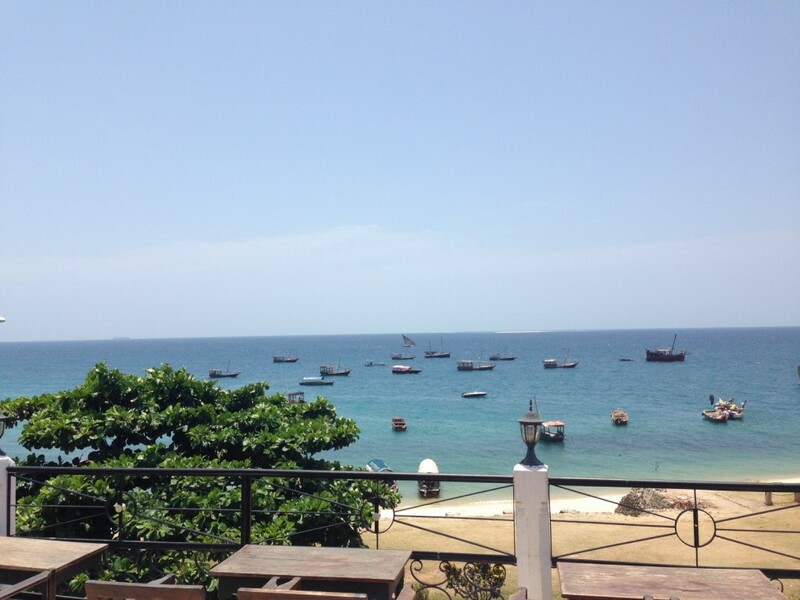 We enjoyed cold Safari and Kilimanjaro beers during the hot afternoons, followed by grilled Kingfish for dinner. It was just what the doctor ordered after eating our camping dinner meals for the last 10+ days. And for those Queen fans out there, we were able to visit the official birthplace of Freddie Mercury. Impressive, I know. Well, we will literally be off the grid for the next few days bush camping (wish me luck!) on our way down to Malawi. Two nights and almost three full days with no showers or bathroom…my worst nightmare has come true. Thanks, Mom! We can’t wait to show you 1000 more photos from Africa. Say hello to Kramer for us! Looks awesome and I’m sure you’re enjoying some beautiful weather! 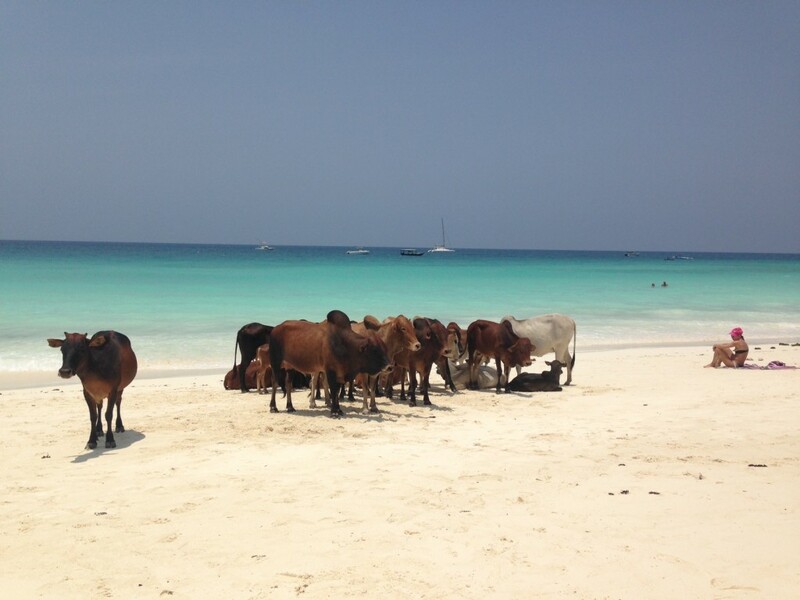 The cows on the beach was interesting to see! We enjoyed meeting our ‘grand puppy’ over the weekend with Megan and Pawel. Yesterday was sunny and hot – a balmy 25 degrees! Gotta love it! We’ll look forward to hearing about your next camping trip! Love you guys! Awesome-ness! 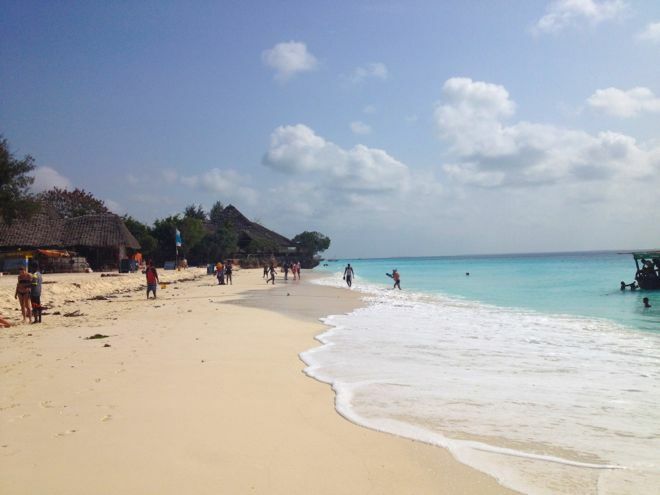 Didn’t know that Zanzibar had white sand beaches or that it was on the Indian Ocean. Shame on me for that lol 😉 I had different images in mind. The white sand looks just like the beaches here on the Bukit of Bali, with the clear, sometimes turquoise colored water lapping gently at the sands. Inspired images, and enjoy your time off of the grid! Hope you guys had a great beach vacay away from your tent! Enjoy the rest of your safari.